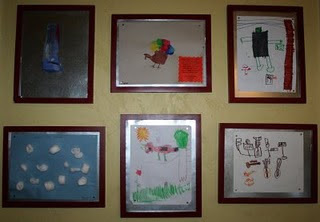 Almost a year ago, I posted about these magnetic picture frames I created. 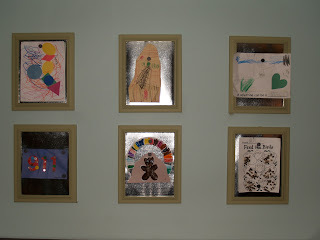 I wanted to find a way to rotate out my ever-growing gallery of kid art. I'd seen images of people using frames, but thought the idea of taking a frame apart each (and every!) time a new piece of art came home just depressed me. So, I came up with this idea. It's easy to swap out the pictures because you just remove the magnets, and place the new piece of artwork right on the surface - no glass to remove, no frame backing to wrestle with. Since I posted about it, I've had more emails about this post than any other, so I thought I would do a full fledged DIY post about it today. My friend Erika, along with a group of neighborhood girls, offered to be my guinea pigs and create their own. You'll need picture frames (larger than a normal 8x10), tin snips and galvanized flashing (in the roofing aisle of the hardware store). Do make sure your flashing is galvanized because otherwise it won't be magnetic. 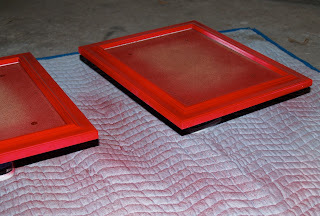 If you want to paint your frames, now is the time to do it. 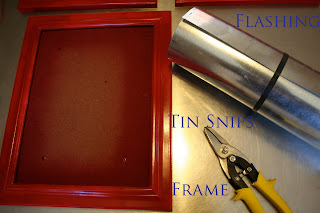 More instructions on painting a picture frame can be found here. Using the back as a guide, draw the size of flashing you'll need to cut. Use your tin snips to cut INSIDE the line... not right on it. You'll want your flashing to fit inside the frame. Be careful as the flashing is sharp - you may want to wear gloves. Place your flashing inside the frame and place the frame backing back on. You might find it useful to put a dab of e6000 or hot glue on the corners before placing your flashing in. This will just help the metal to lie flush. And... you're done! Just pick up some simple magnets (like these) and you're ready to display your art. 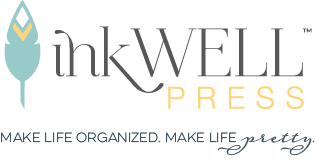 This project would work well even if you don't have kids and just like to swap out your art regularly... or you could use it in your kitchen to post recipes... or cards you receive... or... okay, you get the idea. Tonya, very cool idea, I will definitely try it!! FANTASTIC idea Tonya...thanks for showing and sharing. Oh this idea is great! I really love it! It looks so cute, too! Great idea I love it! Thanks for sharing your craftiness! You are like a craft goddess. What an awesome idea! I think I missed this the first time around, so thanks for sharing again. I love the idea of putting this in the kitchen for recipe cards (or those magnetic spice jars!). Hmm, now to find a cool frame! such a stinking smart idea! how do you do it?! love this. my friend did one but with a large frame, amazing. Yay! Thank you so much for posting this! This is great - it looks a bit complicated for someone as "cack handed" as me but the results are brilliant. I'm going to give it a try I think.